Wow, the MeeGo news is flying fast and furious today! Our first stop is the Intel Developer Forum, where a recent talk detailed feature lists for netbooks and handhelds running (presumably) 1.0. 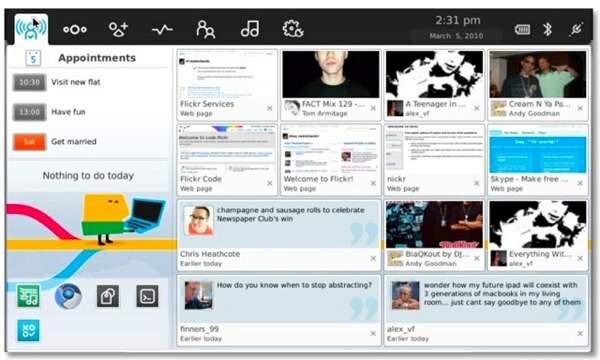 For the former, you can expect to see it rockin' Chrome (or Chromium), and overhauled social messaging, media, camera, email, and calendar apps. That's in addition to touch and gesture support. As for handhelds, Fennec with Flash support popped up on the slides (probably a carry-over from Maemo, since they already have Mozilla with Flash), VOIP (at least until the carriers get involved), instant messaging, social networking, location-based services, cloud data syncing, and portrait mode support -- not to mention "the Intel app-store framework that can be used to make branded 3rd-party app stores." But that ain't all! According to some freshly minted PR, the Hotel Kabuki in San Francisco will be lousy with developers starting Wednesday when the Linux Foundation Collaboration Summit begins in earnest. To be announced at tomorrow's keynote are a host of companies that are throwing their lot in with the mobile OS, including: EA Mobile, BMW Group, Acer, Gameloft, Novell, ASUS, and more. Which is all well and good, but the question remains: when are we finally gonna get our hands on an LG GW990? PR after the break. Update: We added a couple shots of the very in-progress UI from Intel's slide show. See more after the break. SAN FRANCISCO, April 12, 2010 – The Linux Foundation, the nonprofit organization dedicated to accelerating the growth of Linux, today announced that companies from a broad range of sectors have committed to and are participating in the MeeGo project. Participants today include leading device manufacturers, operating system vendors (OSVs), chipset manufacturers, independent software vendors (ISVs) and development communities. Supporting statements are attached from Acer, Amino, Asianux, Asus, BMW Group, Collabora, Ltd., CS2C, DeviceVM, EA Mobile, Gameloft, Hancom, Linpus, Maemo Community Council, Mandriva, Metasys, Miracle, MontaVista Software, Novell, PixArt, Red Flag, ST-Ericsson, Tencent, TurboLinux, VietSoftware, Wind River, WTEC, and Xandros. This participation translates into millions of developer hours dedicated to cross-device compatibility, application portability and the user experience for MeeGo-based devices. Contributors are attracted to MeeGo because it extends reach beyond just smartphones to also include connected televisions, in-vehicle infotainment systems, netbooks and more. The MeeGo project, which merges Intel's Moblin and Nokia's Maemo Linux-based platforms, was announced earlier this year at Mobile World Congress in Barcelona. An opening (http://meego.com/community/blogs/imad/2010/day-1-here-opening-meego-development) of the MeeGo distribution infrastructure and operating system base was made available last month, and the first release of MeeGo is expected in the second quarter of this year with applications available in both Intel's AppUp Center and Nokia's Ovi Store. "The MeeGo project is being met with enthusiastic support from companies and developers who want to seize the market opportunity that exists for the next-generation of computing devices," said Jim Zemlin, executive director at The Linux Foundation. "By working with a common set of tools and open technologies for building these devices, MeeGo developers will be able to easily reach the biggest addressable market available." As an open source software platform, MeeGo will help to reduce market fragmentation and complexity, while helping to accelerate industry innovation and time-to-market for next-generation devices, Internet-based applications, services and user experiences. MeeGo is designed for cross-device, cross-architecture computing and is built from the ground up for a new class of powerful computing devices. The MeeGo project combines Intel's Moblin™ and Nokia's Maemo projects into one Linux-based, open source software platform for the next generation of computing devices. The MeeGo software platform is designed to give developers the broadest range of device segments to target for their applications, including netbooks and entry-level desktops, handheld computing and communications devices, in-vehicle infotainment devices, connected TVs, media phones and more – all using a uniform set of APIs based on Qt. For consumers, MeeGo will offer innovative application experiences that they can take from device to device. The MeeGo project is hosted by the Linux Foundation. For more information on MeeGo, visit www.meego.com. Trademarks: The Linux Foundation and Linux Standard Base are trademarks of The Linux Foundation. Linux is a trademark of Linus Torvalds. MeeGo is a trademark of the Linux Foundation. "Acer was an enthusiastic adopter of Moblin and we're excited about Moblin's evolution into the MeeGo software platform," said Jim Wong, senior corporate vice president and president of IT Products Global Operations at Acer. "We're looking forward to ecosystem innovation that will be enabled by the open nature of MeeGo." "Amino is excited to announce support and adoption of the MeeGo* software platform," said Andrew Burke, CEO of Amino. "We are confident that MeeGo will enable and stimulate development of innovative products in the Consumer Electronics and PC industries." "We are excited to be joining the MeeGo Project", said Liguang Yang, Asianux CEO. "We look forward to utilizing the capabilities of MeeGo to deliver an excellent mobile experience to our customers." "MeeGo is an exciting new software platform and gives customers mobile computing solutions based on Intel® Atom™ processors which offer innovations for the user experience," said S.Y. Shian, vice president and general manager of Notebook Business Unit, Asus Corp. "As the netbook market grows, Asus is continually exploring offerings that optimize this computing experience and address the specific needs of today's netbook customers." "Open source innovations are necessary to drive the Automotive Industry's transition to the next generation of infotainment systems, helping bridge the gap between consumer electronics and In-Vehicle-Infotainment solutions," said Graham Smethurst – GENIVI Alliance president and general manager, Information and Communications Systems, BMW Group. "The first generation of the GENIVI reference platform is based on Moblin and the transition to MeeGo with its support of multiple architectures will make it more attractive to the industry." "The MeeGo project is great news for app developers," said Robert McQueen, director & co-founder at Collabora Ltd. "The combined strength of Moblin and Maemo makes it easy to develop apps for the platform, and allows application developers to target a broad range of mobile and consumer computing devices across the marketplace." "CS2C has seen great success with Moblin*-based products in netbooks and entry-level desktops in the China Go Rural program that boosts rural development with IT," said Han Naiping, CS2C CEO and president. "CS2C is very pleased to be part of the MeeGo Project." "DeviceVM is excited to announce support and adoption of the MeeGo software platform," said Mark Lee, co-founder and CEO of DeviceVM. "MeeGo will enable and stimulate development of innovative products in the Consumer Electronics and PC industries." "As the #1 worldwide publisher of mobile games, EA Mobile is excited about MeeGo and how it will help us to more efficiently and economically bring our great games to consumers," said Farshid Almassizadeh, VP Worldwide Operations, EA Mobile. "Gameloft always looks for platforms that bring the consumers' gaming experience to new heights. With such a wide breadth of supporters involved, we expect MeeGo to help provide the necessary performance level for Gameloft to create games that will blow consumer expectations away," said Michel Guillemot, chairman and CEO, Gameloft. "Hancom is excited about the potential of MeeGo. Hancom is keen to productize with MeeGo 1.0 in Korean language and to work with local ISVs to develop compelling solutions for the Korean market," said Youngick Kim, Hancom CEO. "Linpus is excited to be involved in the MeeGo project," said Rita Jing, vice president of sales at Linpus. "We were involved in the Moblin™ project from very early on, shipping with several of the world's largest OEMs. The combination of the best of the Moblin and Maemo projects to form MeeGo only creates a more powerful, flexible open source community and platform." "The MeeGo project is a revolutionary open source initiative providing exciting opportunities for new and established developers," said Andrew Flegg, chairman, Maemo Community Council. "MeeGo is the natural evolution of Maemo. The Maemo community, active since Nokia's 2005 introduction of the 770 Internet Tablet, is well positioned to share in the benefits of improved tooling, a wider range of devices and a larger pool of innovative ideas made possible by MeeGo." 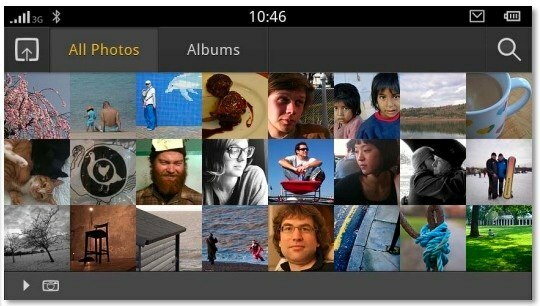 "Mandriva is pleased to join the MeeGo project," said Arnaud Laprévote, Mandriva CTO. "The MeeGo Project lowers our software infrastructure cost and allows Mandriva to focus our resources on building value for our customers." "Since the beginning of the Classmate PC project, Metasys and Intel have worked together on the development of an educational solution for the Linux environment, currently used in several countries. Now, Metasys becomes part of the MeeGo project and is aligning its strategy of developing the educational platform for the Classmate PC, formerly based on Moblin. Thus, the company expects to offer an innovative open software operating system for the next generation of computing devices," said Paulo Neuenschwander Maciel, CEO of Metasys. "Miracle is very happy to be joining the MeeGo Project and as a member of Asianux Consortium, we want to contribute an acceleration of MeeGo in Japanese market," said the president and CEO of Miracle, Takashi Kodama. "MeeGo will help allow us to provide exciting, innovative products in the embedded space." "We are excited to be an active participant in the MeeGo community. MeeGo will aid device manufacturers in bringing commercial devices to market quickly and cost effectively," said Dan Cauchy, vice president of Marketing and Business Development, MontaVista Software. "By leveraging the benefits of MeeGo, device manufacturers will be able to deliver innovative solutions for handsets and other consumer-based embedded devices." "Our strategic partnership with Intel and The Linux Foundation has already resulted in an innovative SUSE platform that addresses the needs of customers and developers alike," said Guy Lunardi, Director of Client Preloads at Novell. "With MeeGo, Novell will continue to play a leadership role by fully supporting open standards and contributing to the growth of the platform for the desktop." "The strong momentum of MeeGo has allowed PixArt to gain entry into the automotive segment," said Gabriel Marcelo Ortiz, CEO and president of PixArt. "We are joining MeeGo and will participate as part of the MeeGo community." "Red Flag is very happy to be a part of the MeeGo* Project," said Dong Jia, Red Flag president and CEO. "Red Flag supports MeeGo-based products for netbooks, handhelds and in-vehicle infotainment (IVI) and looks forward to working on the upcoming MeeGo 1.0 release." "As a strong supporter of open source Linux, we welcome the MeeGo initiative," says Teppo Hemia, Vice President and head of 3G Multimedia Platforms at ST-Ericsson. "ST-Ericsson will strive to provide the best reference design to the developer community, while also contributing to the development of a broad array of innovative new mobile devices." "As a leading service provider in China, with more than one billion registered users, Tencent believes MeeGo is one of the most promising platforms for our cross platform service offerings, and Tencent will make our popular product available upon the launch of MeeGo-based devices to extend our own product and service offering to MeeGo compliant in timely fashion. Developing on MeeGo will enable us to establish a common software framework across multiple devices, ranging from smartphones and tablets to netbooks, it will greatly simplify access to an increasingly mobile and personalized Internet and drive uptake of new and existing applications and services," said Jeff Xiong, Tencent Co-CTO and executive vice president. "MeeGo preserves our business model of customization, services and support", said Claude Zhou, General manager of TurboLinux. "TurboLinux will transition our efforts from Moblin to MeeGo." "A variety of computing devices are occupying the mind of consumers. For example, the smartphone is becoming the dominant personal device in emerging markets like Vietnam," said Dr. Son, general director of VietSoftware Inc. "As a member of Asianux Consortium, VietSoftware is eager to participate in the MeeGo initiative of Intel and Nokia. We look forward to making our meaningful contribution to this important project." "With Wind River's experience as a leader in a wide variety of open source and mobile platforms, we expect that MeeGo will offer a flexible software platform for delivering innovative computing devices compelling user experiences in multiple device markets," said Chris Buerger, senior director, Product Management of Wind River. "The MeeGo Project is an important development in the mobile industry," said Phiroon Phihakendr, managing director of WTEC Co., Ltd. "We look forward to participating in the MeeGo Project." "The convergence of powerful elements into the MeeGo project hosted by the Linux Foundation will accelerate the future of mobile computing," said Andreas Typaldos, CEO of Xandros. "For us, it means that our touch-enabled PIM can be ported quickly to a broad range of mobile devices. We've been a Qt shop since our founding in 2001 and a Moblin participant from "the beginning of that project, so MeeGo combines and extends the best of both our worlds."